Having trouble thinking of what to do for Halloween this year? Why not kicking it old school? Like, way old school. We're talking about over a 150 years old school. If you want to dress up as something memorable, then you've got to be historical! 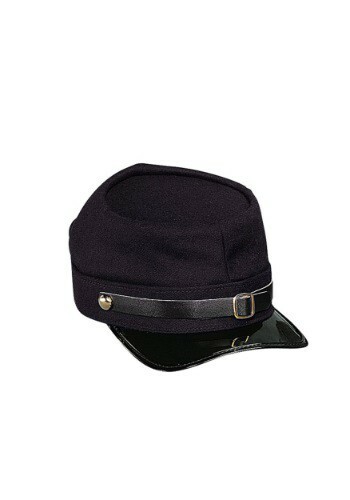 Take a look at this Adult Deluxe Union Kepi Hat. Throw it on to complete your Union Solider costume. Technically, since this Kepi has a black strand that would signify your rank as an Officer, and not just a common grunt. You'll look ready to lead your troops onto the battlefield and keep a country united! Not only will your historical look stand out in the sea of monsters costumes but it will also remind people about one of the most trying times in America's history. Whether you need the hat for a night of fun or an afternoon of serious reenactments this Kepi Hat will be the perfect accessory to top off your costume. Brush up on 19th-century trivia and get ready to teach everyone a thing or two about a historical event that has molded the world we know today.